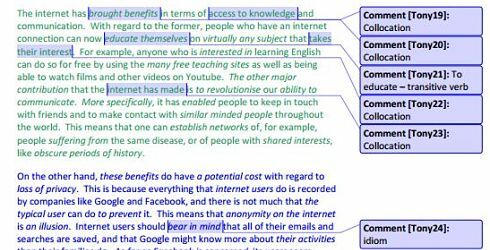 The internet – beneficial or harmful? Read the question again – have you answered it? Write your answer in 40 minutes. Use a proper IELTS writing form - get one here. If you’re serious about succeeding in IELTS, you need to be professional and use an approach like the one above. Many people believe that the internet has made life much easier for most people. However, others fear that it might also represent a threat. Discuss both views and state your opinion.